As the year 2013 came to an end, India came a bit closer to learning more about the world’s biggest fish. A female Whale Shark was satellite tagged successfully near the western coasts of Gujarat to allow researchers learn more about the migration route and habits of the vulnerable species. This is the second time that a Whale Shark has been tagged in India. Whale Sharks are the biggest fish roaming the oceans and are known as the gentle giants of the sea. They prefer to swim in tropical waters and are frequently seen in the coastal waters of the western shores of the country. On 27th December the Whale Shark Conservation Project team members with the help of the fishing community in Sutrapada, Gujarat and Gujarat Forest Department tagged a member of the species to gather more information about them. As per WTI biologist Prem Jothi who helped tag the fish, the individual was a young female about 18 feet long. The biggest ever whale shark to have been measured in the world is about 40 feet long and in comparison this particular female can easily be called a dwarf. 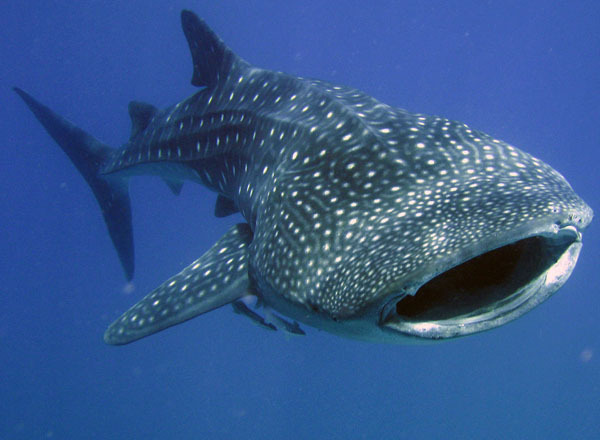 Till 2001 Whale Sharks were brutally hunted in Gujarat for liver oil. It was used to waterproof bats. 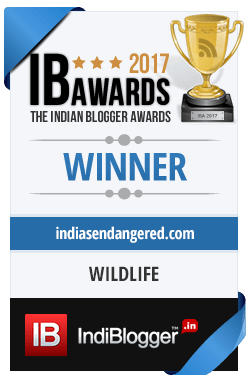 But in 2001 the species became the first marine animal to be listed in Schedule I of the Indian Wildlife Protection Act, 1972 and since then, the incidence of whale shark killing have reduced significantly. Whale Shark Conservation Project is a joint initiative of the Gujarat Forest Department and International Fund for Animal Welfare – Wildlife Trust of India (IFAW-WTI), supported by Tata Chemicals Limited. In 2004 the team members launched the whale shark campaign that led to many fishermen to become aware and they began releasing whale sharks caught in the net. Up till now at least 400 of the fish have been recorded to have been safely released back into the waters. The team fist tagged a whale shark in 2011 which was also one that had been accidently caught in fishing net. 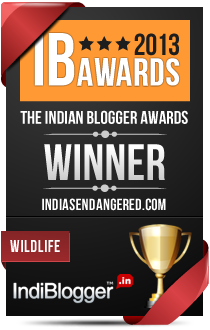 This individual was tracked for 40 days and its movement noted in Maharashtra and Gujarat. Tagging a marine animal is much more challenging than tagging a terrestrial one. Also the resources needed to tag a free moving fish are much more. Therefore, the team has for now decided to tag only fishes accidentally caught in the fishing nets. The operation this time was carried out by keeping a track of all the fishing catch in the area everyday. The moment the team got the news of a whale shark capture, they immediately set into action to tag it before release. “We reached the site where the fish was caught quickly and completed the entire operation in 30 minutes,” said Prem Jothi. He was accompanied by other WTI team members including marine biologist Subburaman, sociologist Farukhkha, assistant Prakash Doriya, with coordination support from the project lead S Goutham. If successful, the tagging will allow the researchers to know if the whales found in the Arabian sea are a distinct population or the animal migrate near the Gujarat coast from other waters. This is definitely exciting news as far as Indian marine research is concerned as there is still much to learn about these ocean dwelling animals. Whale sharks are the largest fish in the sea. The largest of the species ever measured was 40 feet in length though there are many that have been observed to be even bigger! These gentle giants use the mechanism of filter feeding to eat their favourite food – planktons in their underwater homes. Swimming with their wide mouths open they keep collecting plankton and small fish, close to the water’s surface. Whale sharks live in tropical waters and have a possible migration route, which needs to be studied further. Whale sharks belong to the same group which includes sharks, rays and skates called Chondryichtyes. While most fishes have a skeleton made of bones, whale sharks have a skeleton made entirely of cartilages. The spots around the gill area is different for each individual, helping scientists easily identify each shark. Only 3 shark species (the whale shark, the basking shark, and the megamouth shark) are filter feeders, straining their prey from the water column. Hot spots for viewing whale sharks are Japan, Thailand, Malaysia, the Philippines, Australia, Mexico, the Galapagos, Belize, Honduras, South Africa, Mozambique, Seychelles, India, and the Maldives. Their population worldwide is decreasing because of habitat destruction, coastal developments, accidental catches during fishing and slow rate of maturity & reproduction. Good news that it has finally come to conservation list. It is such an irony that the largest living being in the world is facing threat from humans, who are just 1/27 of its size.